Guru Maharaj’s Homage to His Grace Brahmananda Prabhu! Your departure from this world to be with Srila Prabhupada came very suddenly. I was in the ICU of ILBS hospital when I was informed of this news by Gopal Krishna Maharaja. I have been in the ICU for the last thirty days and was discharged to the general ward only yesterday. Although I wish that I were there for your memorial service, my present health condition does not permit me to travel to Vrindavan today. So I have asked my disciples Acintya Caitanya das and Shiromani devi dasi and their little son Madhav das to be at the memorial service in Vrindavan on my behalf and meet with Gargamuni Prabhu, your dear brother. This shows your surrender to Srila Prabhupada and the responsible and dependable role that you played in the formative years of ISKCON. You gave your entire paycheck of $400 to Srila Prabhupada every month. You preached in dangerous places like Africa and Pakistan. There are so many amazing things to be said about you and also about the time that I spent with you with in Mayapur. I am not in a position to speak more at this time being in the hospital myself. We are also planning to hold a memorial service for you at Mayapur. At that time, I will speak more about you. Thank you for all the association that you gave me. I remember them fondly in my heart. 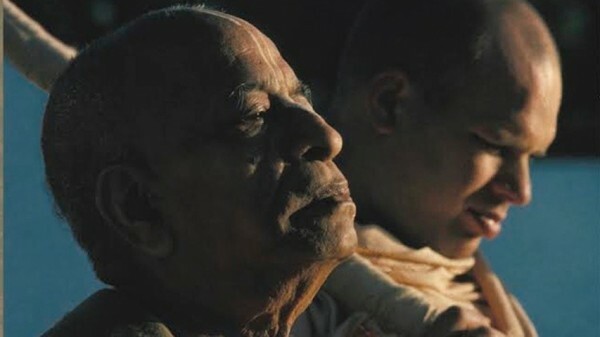 Even in your passing away, you have shown how gloriously and unfailingly Srila Prabhupada reciprocates with his followers who have rendered him sincere service. All glories to you. All glories to Srila Prabhupada.